Various end treatments are available for corrugated metal pipe. 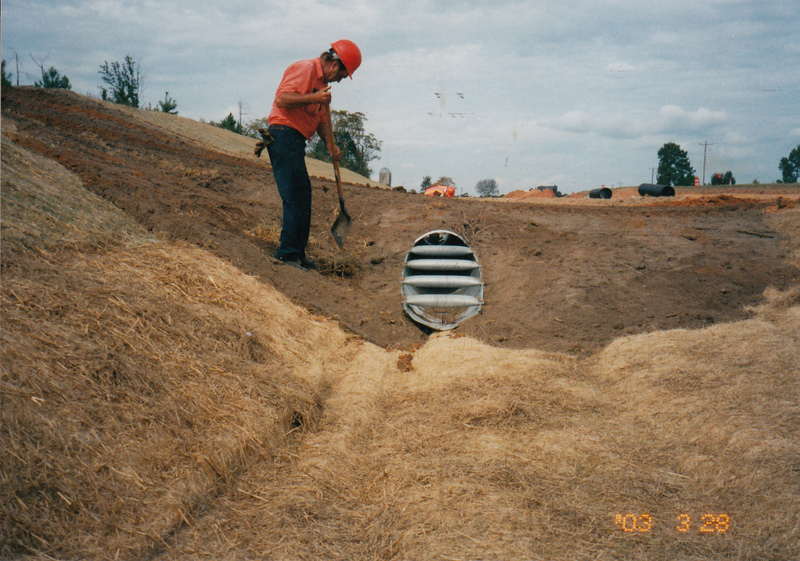 The ends of the pipe can be beveled and/or skewed to match the slope of the embankment. 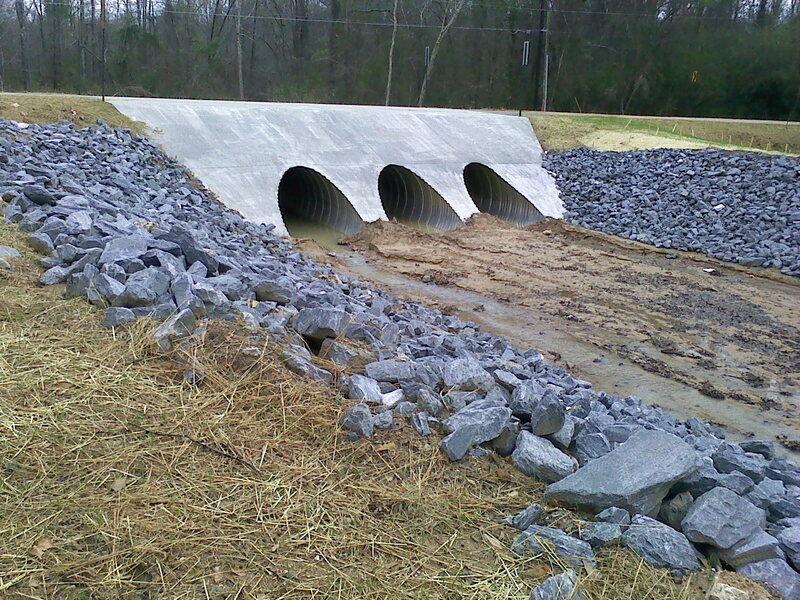 This provides for an attractive finish and is particularly cost-effective for large diameter culvert applications. It should be noted that these miters interrupt the pipe ends ability to develop ring compression and measures should be taken to prevent uplift when subjected to extreme hydraulic forces. Toe wall, or other anchoring devices, are recommended where these hydraulic conditions are possible. 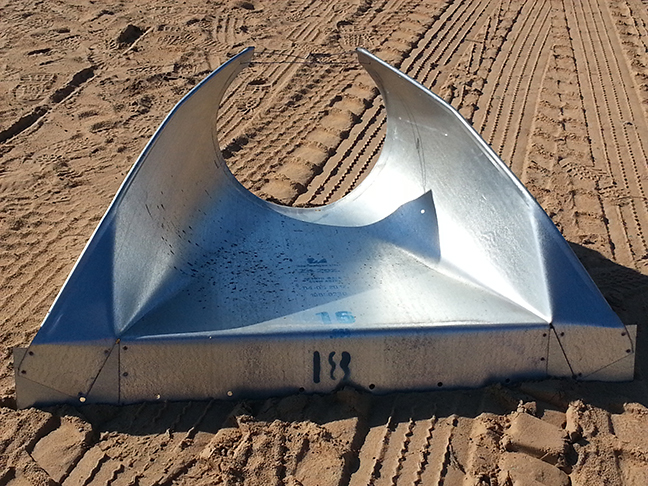 Shop fabricated flared end sections attach to culvert ends through simple bolted connections. 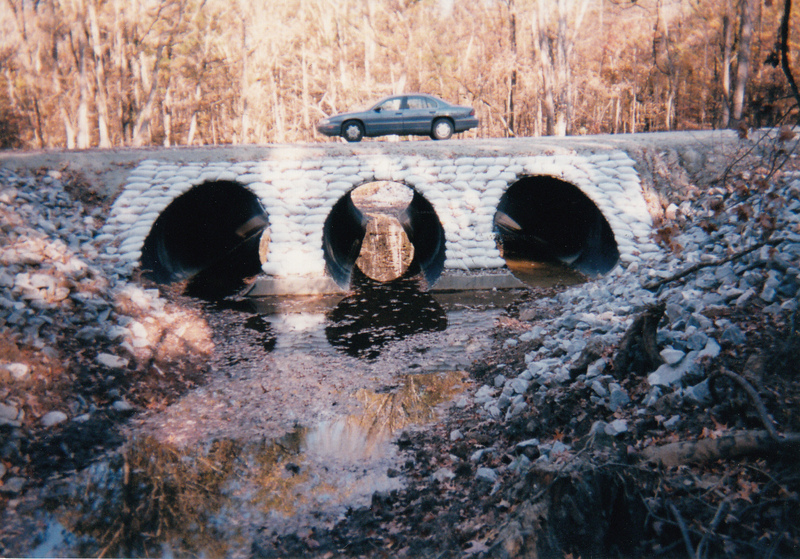 They prevent erosion on the discherge end of culverts and undercutting on the upstream side. They are extremely effective in preventing weeds from choking the entrace. Maintenance of the culvert is improved as mowers can pass harmlessly over the top of the flare. Our safety slope end section, developed in 2004, requires a minimal amount of time for installation. 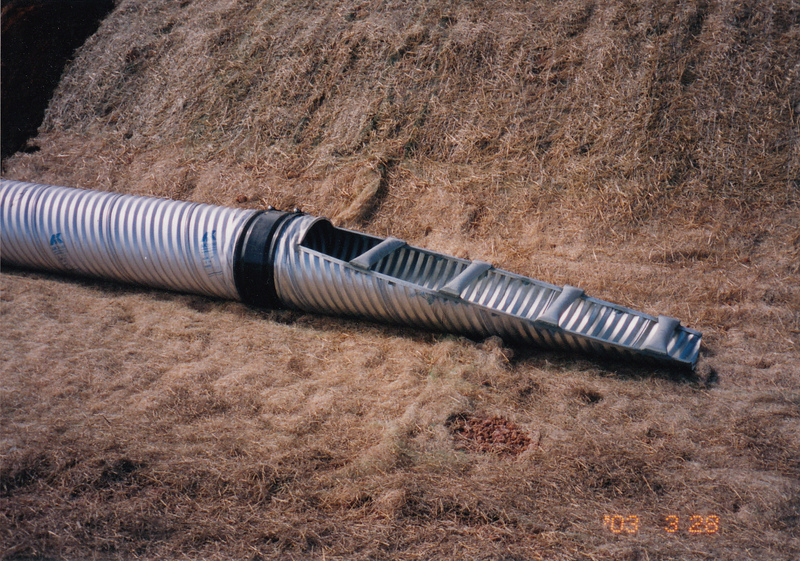 Using only standard culvert connecting bands, this end treatment can be field attached in a matter of minutes. It comes fully assembled and is available in a full complement of sizes in both 4:1 and 6:1 slopes. With the addition of a smooth tapered sleeve, safety ends are easily attached to the ends of concrete pipe.